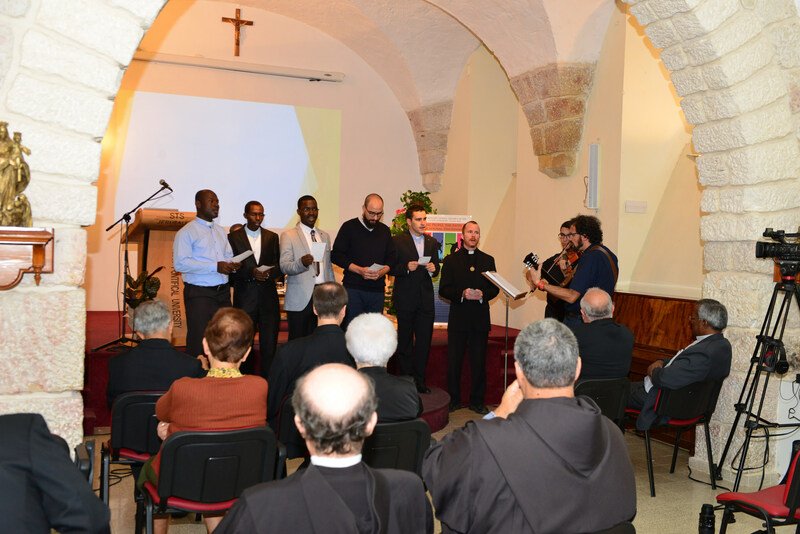 October 28 2017 - STS - Jerusalem – On Saturday, October 28, 2017 the Studium Theologicum Salesianum (STS), the Jerusalem Campus of the Faculty of Theology of the Salesian Pontifical University, held its annual Dies Academicus. Guests of honour were Rev. 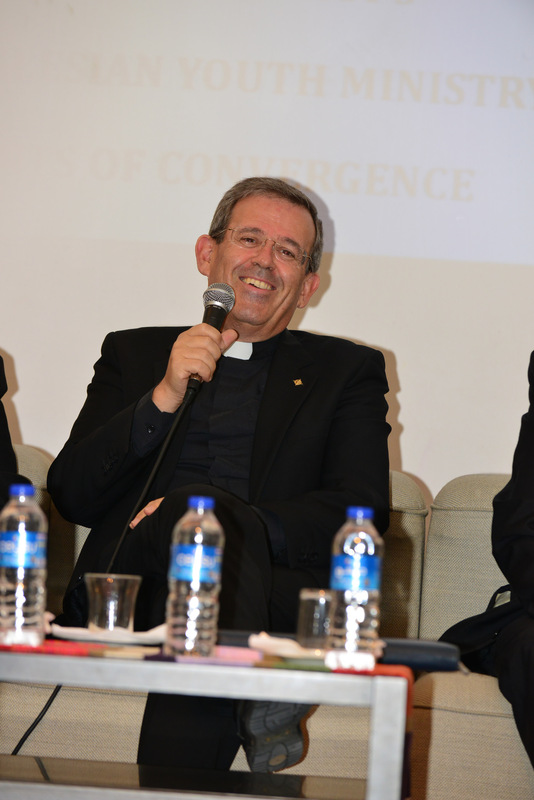 Dr. Fabio Attard, SDB, General Councillor for Youth Ministry of the Salesian Congregation, who delivered the Lectio Magistralis on “The Preparatory Document for the XV Ordinary General Assembly of the Synod of Bishops and Salesian Youth Ministry – Points of Convergence”; Rev. Dr. Damasio Medeiros, SDB, Dean of the Faculty of Theology in Rome; and Rev. Dr. Gianni Caputa, SDB, who was honoured with the conferral of the Silver Medal of his Emeritus Status. Rev. Fr. 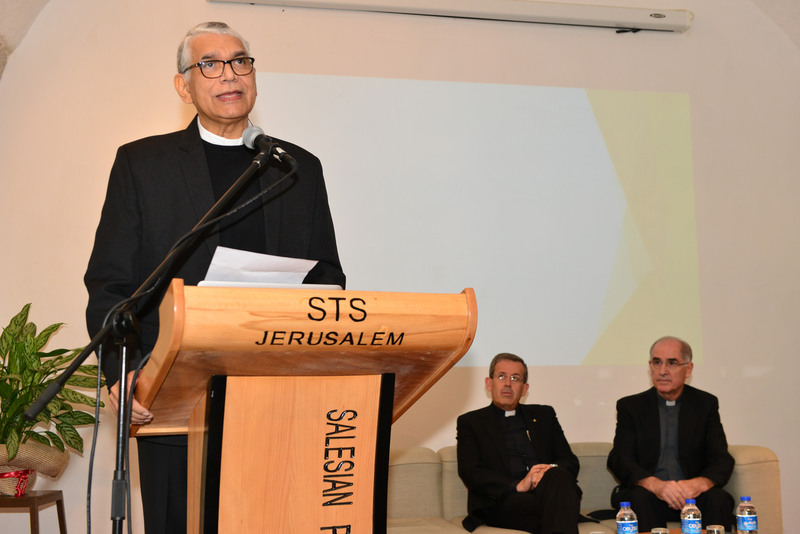 Munir El Rai, SDB, the Provincial of the Salesian Province of the Middle East Province (MOR), representatives from other theological faculties in Jerusalem, other priests and religious were among the esteemed privileged guests together with the professors and students of STS. The principal of STS, Rev. Dr. Gustavo Cavagnari, SDB, welcomed all present to the Dies Academicus. He introduced and welcome the guests of honour, and gave an outline of the day’s proceedings. 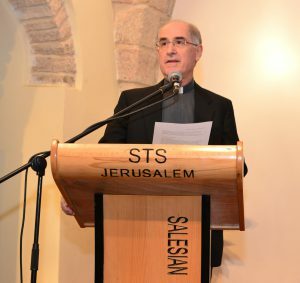 He made special reference to Blessed Michael Rua (the first successor of Don Bosco, whose liturgical memory occurs on 29 October), the one who authorized the Salesian presence in the Holy Land, recalling the events of Don Rua’s first visit to the Holy Land. Next Fr. Medeiros delivered his address, extending warm greetings to all present. He emphasized the importance of studying Theology, today as it was yesterday, which means to embark on the experiential path of the intellectual charity towards God, human beings and creation; and its importance of other sciences in order to bring about a true cultural vision in the vital synthesis of theological studies. 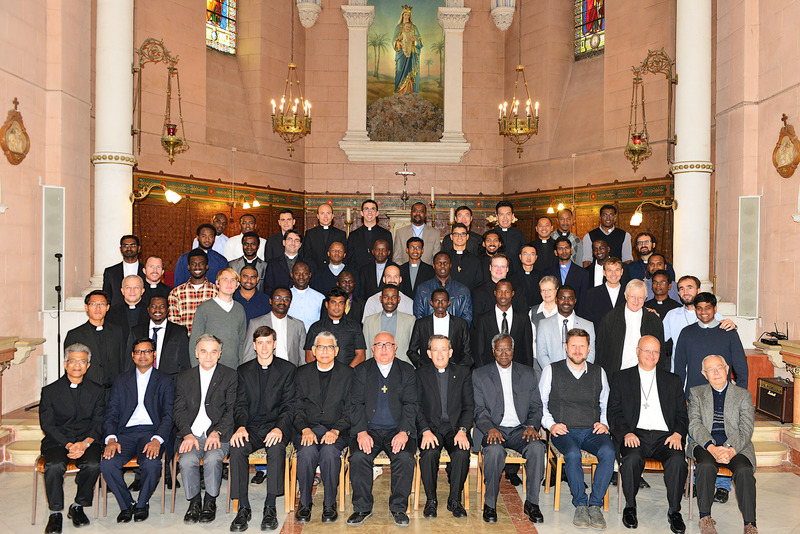 Finally, with the words of Blessed John Newman he concluded inviting all into the “Circle of Knowledge” and wishing the staff and students a fruitful academic year. The STS choir provided a musical backdrop by performing the hymn “O Holy Mother of the Redeemer”. The Lectio Magistralis followed. The first major event of the Dies Academicus was the lecture of Fr. 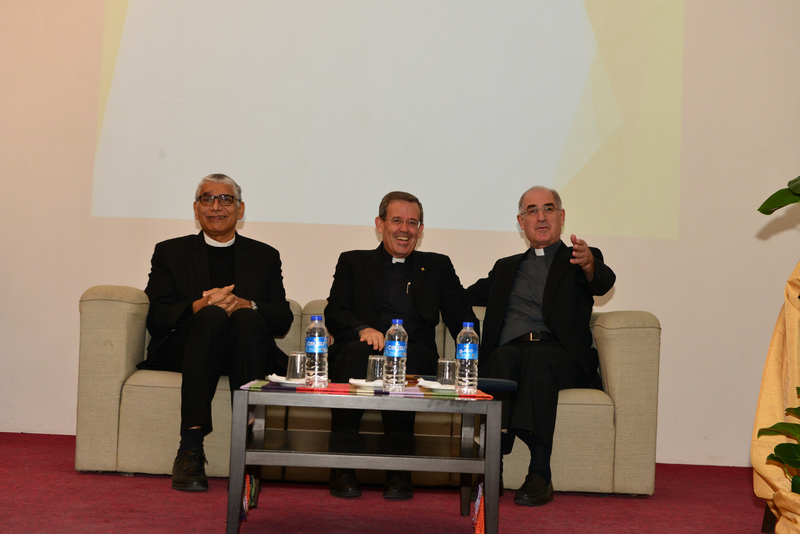 Attard, in which he focussed on the background of the Preparatory Document for the 2018 Synod on “Young people, the Faith and Vocational Discernment”. Drawing on the centrality of the Second Vatican Council to the current ecclesial reality, he rapidly traced the Synodal journey that the Church has taken. Referring to the Preparatory Document as “our compass on this journey”, he indicated four points of convergence between the text and Salesian Youth Ministry. The first point is to know the story of the young. The second point is to educate taking in consideration four fundamental dimensions (education to faith, educational and cultural growth, group experience and vocational discernment). 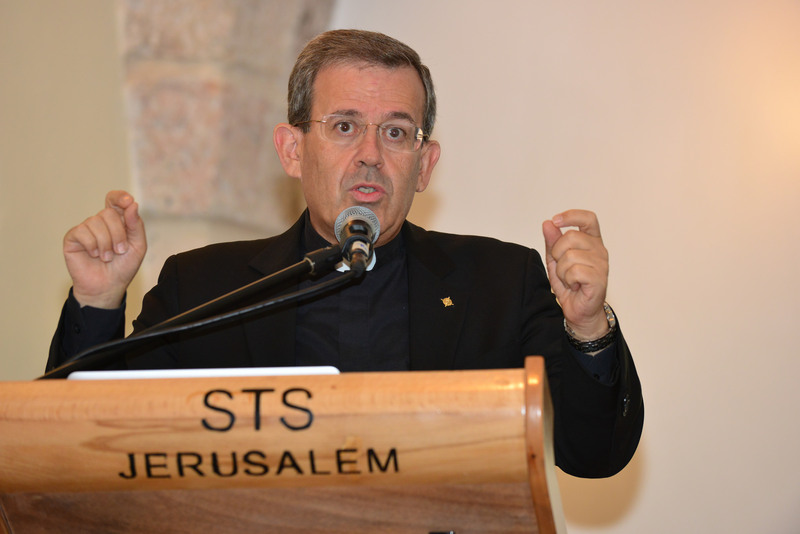 The third point of convergence he presented was a call to recognize the urgency of a serious and proper human, spiritual and charismatic preparation of all those called to embrace this pastoral mission. From the third part of the Preparatory Document he reflected on the agents and processes and presented the fourth point of convergence: to plan out an effective and practical educative and pastoral project. In his concluding remarks, Fr. Attard presented the Church’s action as a providential invitation for us to face the following challenges: to deepen the knowledge of our charism, to draw closer to the educative and pastoral heritage, to improve the processes of formation, and to examine how our educative and pastoral proposals can be a response to the lives of young people today. Rev. Dr. Stanislaus Swamikannu, SDB, chaired the following session of Questions and Answers where time was given to all the participants for seeking clarification and comments on the matters under discussion. A string ensemble by Bros. Paolo Negrini and Lenny Carlino titled “Chiesa del Risorto” provided a suitable interlude to the proceedings. 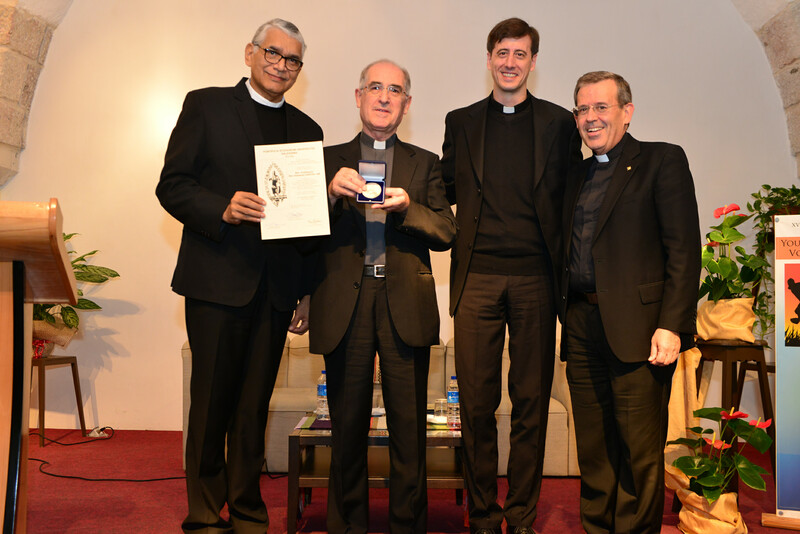 The next major event of the Dies Academicus was the Conferral of the Silver Medal from UPS on Rev. Dr. Gianni Caputa, as he becomes Professor Emeritus. Fr. Eric Wyckoff read out the letter sent for the occasion by the Chancellor of UPS, Rev. Fr. Ángel Fernández Artime, SDB, which placed on record the appreciation of the Salesian Congregation for the tireless and generous service of Fr. Caputa over the past 37 years. Brief mention was made of significant milestones of Fr. Caputa’s career (academic degrees, participation in important ecclesial and academic events, publications). He expressed his gratitude and tendered some salient advice to all present. The Vote of Thanks proposed by Sr. Angela Ridout, the Registrar of STS, brought the program to a close.